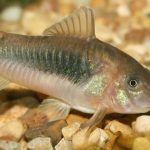 Guppies and most Livebearer fish are generally fairly hardy fish and don’t get sick much, they are affected by only a few diseases. Bacteria, viruses and parasites in the aquarium fish tank generally cause infects your fishes with diseases. 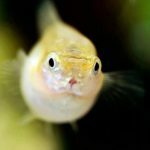 If your aquarium tank is properly setup and you’re providing them with an adequate diet then your Guppy fish’s immune system should be healthy enough to fight off most diseases. It’s always better to prevent diseases in your aquarium then to treat a sick fishes afterwards. You can prevent many diseases from breaking out in your Guppy’s fish aquarium tank by providing them with a proper aquarium setup and doing regular maintenance. Check your Guppy or other fish’s care guide and make sure that the temperatures are adjusted to the fish’s correct desired temperature. Temperature that is too warm or too cold for the fish will increase their stress and lower their immune systems. Stress increases the chances for any fish to catch diseases more easily since it lowers their immune system. 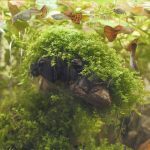 It’s typically a good idea to decorate your aquarium tank with some hiding spots so that your fish doesn’t feel exposed and threatened all the time. Fishes that are sick fish are often already stressed. Stress lowers their immune system, which leaves them open to diseases. Therefore it’s important to reduce your Guppy fish’s stress level to help it recover. They’re probably already stressed out that they are sick, being moved to a quarantine tank and by the medication treatment. You can help reduce their stress by keeping the lights a bit dimmer. Try covering a part of their tank with a cloth and don’t startle the fish with sudden movements near the tank. If you do decide to quarantine the fish, use the water from the main aquarium tank so the fish doesn’t need to acclimate to an entirely new water condition. 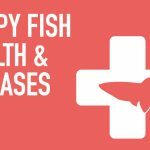 Here are some of the more common Guppy diseases and illnesses, their symptoms and how to treat your sick fish. 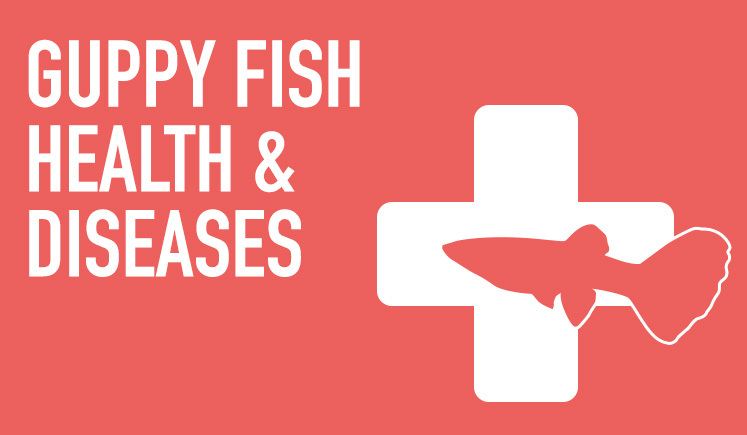 Make sure that you have properly diagnosed the right disease before treating your fish. Also figure out why the disease started so you can prevent the disease from starting again in the future. Fix any water quality problems and remove the sick fish to a quarantine tank so their tank mates won’t be affected. It is always best to treat the diseases early to prevent the disease from spreading, it also increases the chances of a full recovery. Tip: Try to have medications for these common diseases in your aquarium drawer, so you can treat your sick fish right away. Only give the recommended amount of medication as indicated on the packaging, as over-dosage could be toxic to your fish. Symptoms — Small white dots on the fish’s skin and fins. You might notice your fish start rubbing their skin against rocks, decorations or the sides of the aquarium tank. They will often look uncomfortable and have a loss of appetite. Cause — It is usually caused by rapid temperature and pH differences. Sometimes it is caused by poor water quality. Treatment — There are drug medications available at your local fish pet store to treat White Spots / Ich. Follow the drug’s instructions. Also try raising the aquarium’s water temperature slightly to speed up the Ich’s life cycle since the medication doesn’t work on the Ich’s eggs. Prevention — Maintain consistent temperature and the fish’s pH requirements. Good water quality will also help prevent future infections. 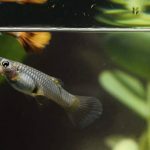 Fin Rot / Tail Rot Symptoms — Rotting fins or tails. The fish’s fin and/or tail will look like it’s torn, ragged or have white edged holes, red streaks or white edges. Sometimes the fins and tails might looks like it’s stuck together. The Guppy fish will look like they’re missing fins and/or tail. Cause — It is usually caused by bacteria that have infected a bullied fish’s fins and tails. A fin nipping tank mate that injured your sick fish usually causes this. Poor water quality can cause bacterial to grow. Treatment — There are drug medications available at your local fish pet store to treat Fin Rot / Tail Rot. Follow the drug’s instructions. Prevention — Separate any fin nippers from the bullied fish. Sometimes even peaceful fish like Guppies might display an aggressive behavior in an overcrowded tank. Clean water quality will also help prevent future infections. Gill Flukes Symptoms — You will notice the sick fish constantly try to rub their gills against rocks, decorations or the sides of the aquarium tank. The sick fish will also gasp for air at the water surface. At advance stage, the fish will be hanging out at the bottom portion of the aquarium tank with their gill covers opened. The gills will look like they are bleeding and they have a lot of trouble breathing. Cause — Poor water quality can cause these white worm-like parasites, flukes to grow. Treatment — There are drug medications available at your local fish pet store to treat Gill Flukes. Follow the drug’s instructions. They typically require several treatments before they are completely gone because the medicine is only able to treat hatched flukes not their egg. Gill Flukes are highly contagious, it’s a good idea to treat all of your fishes in the same tank. Prevention — A new fish or plant usually introduces them in your aquarium tank. Before adding any new fish to your aquarium tank, it’s best to quarantine them. Clean water quality will also help prevent future infections. Under poor water conditions, these flukes can multiply rapidly. Dropsy Symptoms — The sick fish will look like it has a huge swollen body with raised scales. Cause — Infection from bacteria. Treatment — Remove sick fish immediately to a quarantine tank to avoid spreading the bacteria. Dropsy is typically incurable. By the time, the symptoms are visible, it’s usually too late to cure the sick fish since the internal organs are already damaged. If you have activated carbon media in your aquarium filter, make sure you remove it from your filter before adding any medicine since it will absorb the treatment medications. Simply place the carbon media back into your filter once the treatment is finished. Or you can replace the carbon media if they’re a month old since carbon media will become saturated by then. Once treatment is over, you can add the activated carbon media back into your aquarium filter to help remove the medicine. 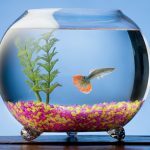 If you want to keep Guppy fishes and other types of Live-bearer fishes that are healthy and breed, you will have to supply optimal living conditions. You will need an adequate sized aquarium tank and a proper aquarium tank setup with a filter, heater, and artificial lighting.